The Ontario School Board Compensation Survey is Now Available! The only Ontario report to provide a detailed picture of School Board salary information for non-union management positions is now ready for purchase. In this brand new report, you’ll find comprehensive data, including a wide variety of tables, charts and graphs, about benchmark positions in Ontario School Boards. The practical analysis allows you to quickly translate the data into important takeaways to immediately benefit your organization. HCI Consulting is pleased to present the results of the 2014 Ontario School Board Compensation Survey. We have collaborated with the Peel and Halton District School Boards to provide you with a comprehensive overview of school board compensations practices across the province. The Ontario School Board Compensation Survey encompasses salary data submitted by 32 school boards, covering 23 benchmark positions in varying geographic and socio-demographic regions of Ontario. All salary data is based on job rates paid effective January 1st, 2014. 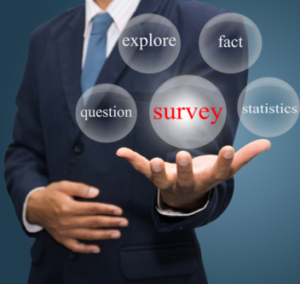 We are offering 2 convenient ways to purchase your Survey Package in PDF format. To purchase your survey package using our interactive PDF form, fill out the order form using the link below and send it using the contact information provided. * To save the file on your computer, right-click on the link below and choose the “Save As…” option from the list. Then you can save the file to your computer, fill it out and return it to the address provided. To purchase your survey package online, click on one of the links below, and you will be taken to a secure, web-based link to complete your order. $329.00 + HST (updated on checkout)To purchase your survey package online, click the link below, and you will be taken to a secure, web-based link to complete your order. $699.00 + HST (updated on checkout)To purchase your survey package online, click the link below, and you will be taken to a secure, web-based link to complete your order. We work closely with our clients to determine the most appropriate method of collecting up to date and accurate market survey information, either through the use of available published salary survey data or by conducting a custom salary survey of targeted organizations.